A great view of Main Street! 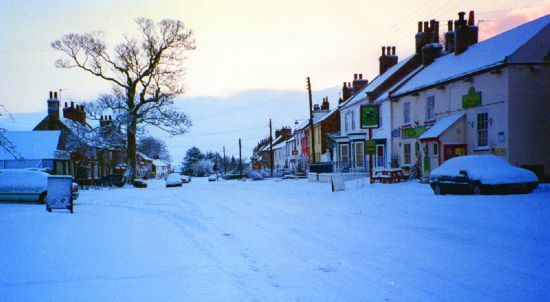 It's not often we get a scene like this in Stillington. 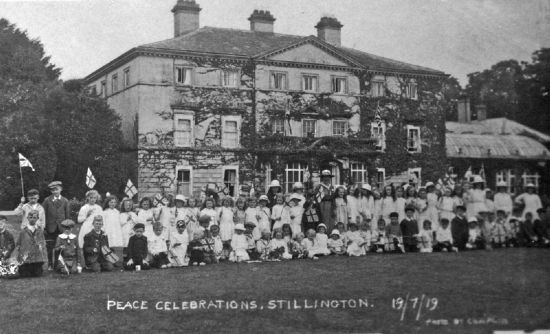 A party was held for village children by Matthew Liddell, owner of Stillington Hall, and his wife Rosemary to celebrate the signing of The Treaty of Versailles on 28th June and the official end to the war. Peace in Europe seemed assured and the government ordered 19th July to be a public holiday to rejoice this fact. Over sixty children, dressed in their Sunday best, can be seen this photograph. Mrs Liddell stands at the centre of the group, just in front of the porch. Squire Liddell, as he was known, was noted for his generosity: the children got a sticky bun and a mug of 'pop' each, they played games in the grounds supervised by the gardeners, patriotic songs were sung and flags waved. One attendee, late in life, swore the Hall piano was dragged out onto the drive to keep the singing going! A great time was had, and remembered, by all - even when the dark clouds of war gathered over Europe again and those children, now grown, had to fight a war whose foundations had been laid by the very act they had celebrated on that hot July afternoon. Mary Spruce, nee Wrigglesworth, was born at Stillington in 1820. 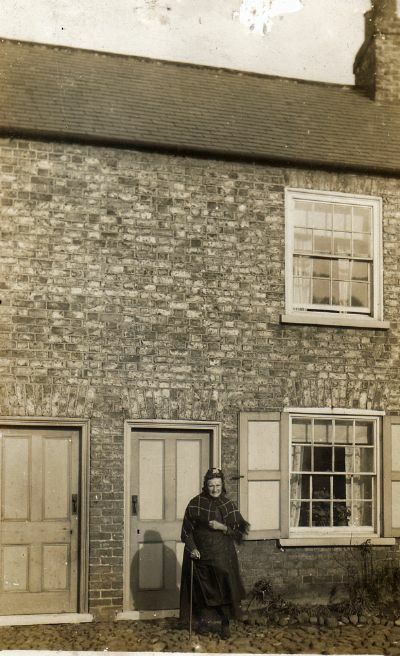 She lived in the terrace of cottages on the east side of The Green, residing there with her husband Robert, a plumber and glazier, and their six children, George, John, Robert, Richard, Mary and Annie, who married Tom Gibson from Stillington Mill. Family lore says Mary and Robert were their cottage's first residents. Robert died in 1887 and Mary continued to live there until her death in 1912 aged 92. Photograph courtesy of the Gibson Family.